Recipes are a lot more flexible than you may think. 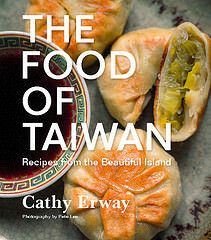 Soups are especially welcome to additional ingredients, adaptable to changing seasons, and open to subtractions in the case of allergy or just preference. I’m of the opinion that in most cases, a recipe is a mere guideline for a certain idea rather than a strict set of instructions. And as such, I usually don’t follow them too closely. But to indulge one early-morning’s random obsessions about vichyssoise, I cracked open Julia Child’s Mastering the Art of French Cooking and landed upon Potato Leek Soup on the first page in the book’s soup section. I was encouraged to see so many anecdotes about how you could alter the soup according to your whim—or ingredients at your disposal. Because it’s a potato-leek soup, and the only rules about it should be that it is a soup, with potatoes and leeks. And it did. Because this is a transitional moment in the seasons, we have winter root vegetables like parsnips, and asparagus—surely a marker of spring—on our hands. That’s all about to change pretty soon, but for now it satisfies. There is something so satisfying about using what’s only right here and now. 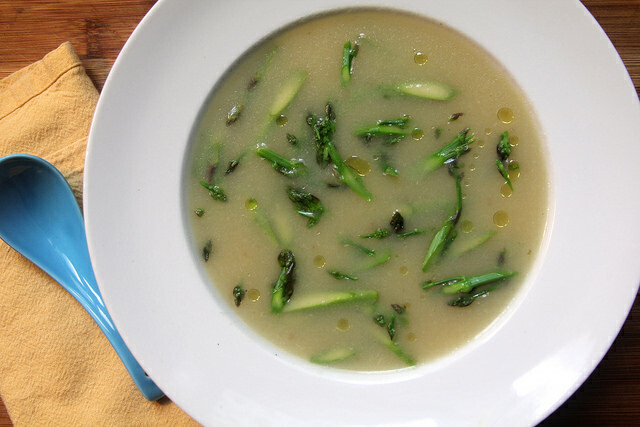 It’s tempting to add asparagus and puree it along with the potage, but I bristle at the thought of using up such good, fresh asparagus in such a slow-cooked way. Maybe it’s because they’re only so fleeting when fresh and in season; and quite a bit more expensive than the root vegetables to boot. So I just dropped in some slender hunks of the green stalks towards the end of cooking the soup, to only just lightly blanche, and bob about to catch on your spoon. The easiest soup you’ll ever make! 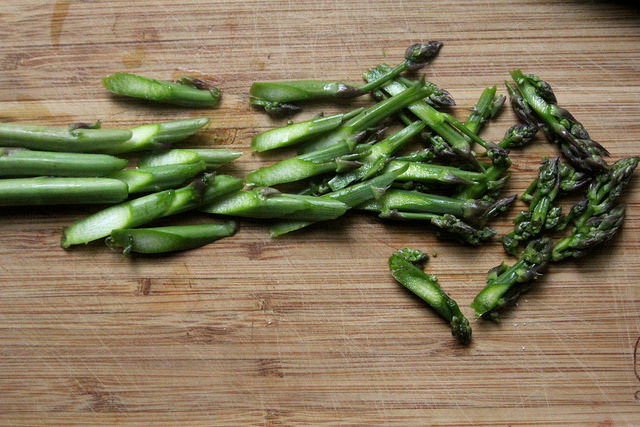 In the end the asparagus adds a subtle sweetness but mostly texture and spats of color. The parsnip is only mildly detectable in the soup, but then again, you can add as much of it along with the potato as you wish. 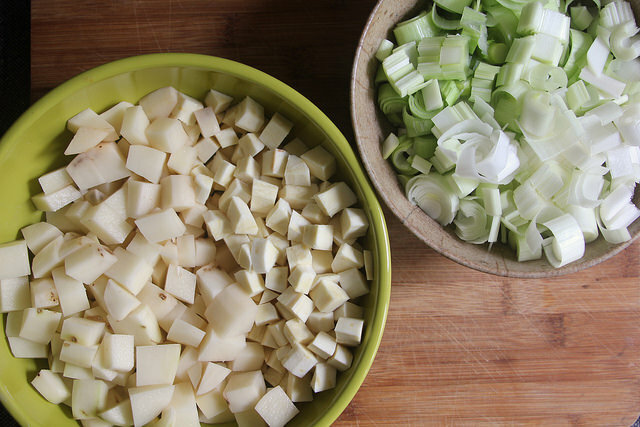 Leeks are a stealthy way to add velvety texture to a potage, because their delicate layers will blend up with that silkiness that is conspicuous if you just feel them while chopping. It’s a bit like sheets of cornsilk, underneath those thick outer sheaths. Try, if you can, not to opt for plain yellow onions, for that reason. But of course, that’s no hard and fast rule. 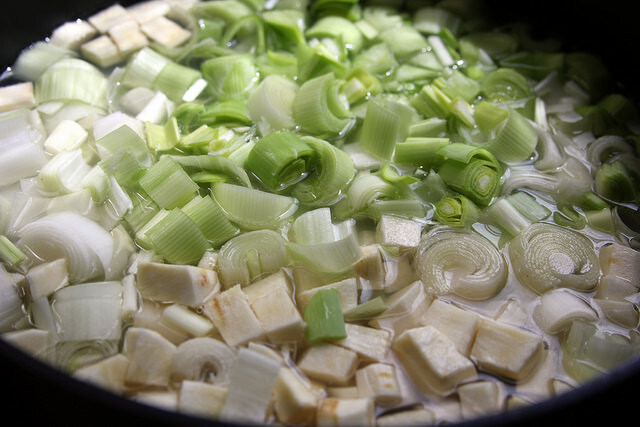 Combine the chopped leeks, potatoes and parsnip in a pot and cover with the broth. Bring to a boil, then reduce to a simmer and cook, partially covered, at low heat for 45 minutes. Using an immersion blender, blend the soup thoroughly until thick and smooth. Add water if desired for a thinner consistency. Return the soup to low heat and add salt and pepper to taste. Drop in the asparagus and stir in the optional butter and/or cream. Remove from heat, and either serve immediately warm, or let cool and chill in the refrigerator for a few hours before serving (or up to a few days). Four brownie points: This soup is also very flexible when it comes to health and dietary concerns—opt for chicken broth and optional dairy for more richness, or make it completely vegan. 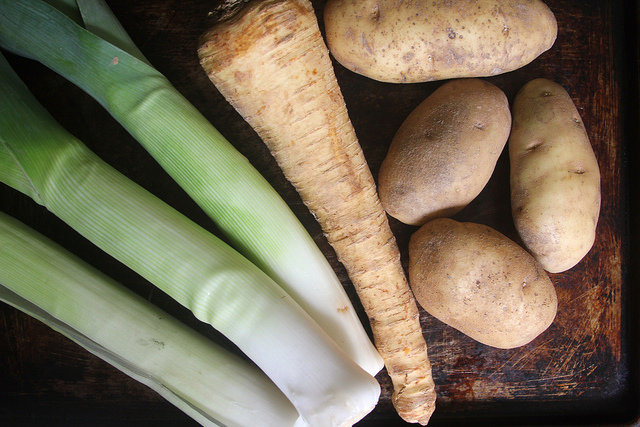 It’s still potato, leek and parsnip soup, and you can even fill up on it for a full meal. The root veggies will help provide fiber and potassium, while the asparagus will pitch in for antioxidants and many minerals. 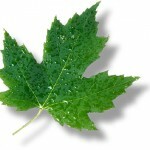 Eight maple leaves: as a plant-based (or almost plant-based) soup using seasonal ingredients only (at least now), it’s a win-win when it comes to health and the environment. Plus, using up leftover or old ingredients in your fridge (like the parsnip) is a plus, and soups are very handy for that. Great place for free app nana hacker online without spending a single penny. Our family loves soup! Can’t wait to make this! Thanks for this amazing recipe dear really such a amazing post.